The figure below displays the number of influenza-like illness (ILI) cases reported during the 2007-08, 2008-09, 2009-2010 and 2010-2011 influenza seasons. ILI is defined as fever > 100˚ F AND cough and/ or sore throat without another identified cause. 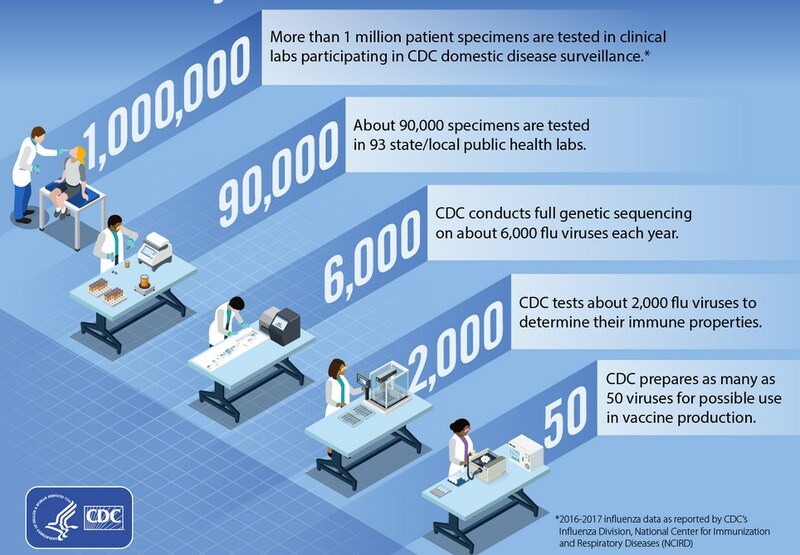 ILI can be caused by a variety of respiratory viruses, so data should always be interpreted in the context of laboratory data. ILI cases are reported by physicians to local health departments. Local health departments report the data weekly to the state. The Centers for Disease Control and Prevention compiles weekly data and reports the data by “MMWR week.” Usually, there are 52 MMWR weeks per year. Some years, there are 53 MMWR weeks. Find out more about the best epidemiology PhD programs. The Sentinel map shows West Virginia counties that have enrolled influenza sentinel providers for the 2010-11 season. The figure below demonstrates the percent of visits for influenza-like illness (ILI) reported by West Virginia sentinel providers during the 2010-11 influenza season. Sentinel providers are volunteer physicians who report cases of ILI as a proportion of total patients seen. If the resulting percentage of visits due to ILI is higher than 2.6% then high rates of influenza transmission are likely. Reports of ILI should always be viewed within the context of laboratory data and other indicators of influenza activity.